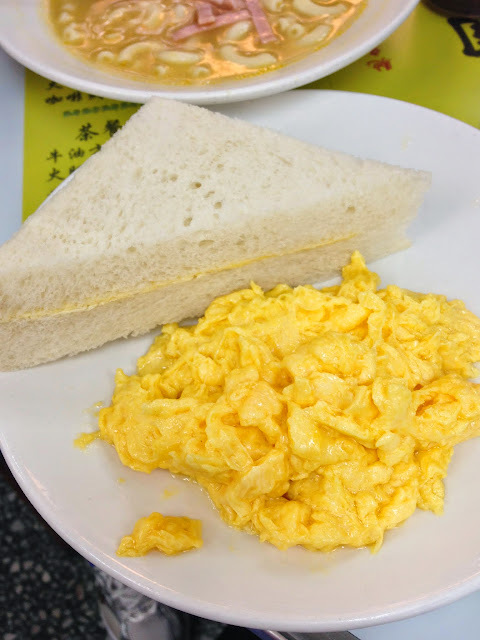 Tsim Sha Tsui is a great area to stay at because there are so many food options there. ADC and Yee Shun are located at streets parallel to each other, not far from Jordan Station. We had steamed milk pudding for two days, and I think I’ve enough milk for the rest of the year haha. When I was young, I hated milk and till now I’m still not fond of it. Between the two heavy weights, ADC was clearly the more popular one. On both occasions, there were long queues for ADC but none for Yee Shun. Fret not, because the queues for ADC move very quickly. A local whom we shared the table with told us it’s always like that, and she can still get her breakfast and get to work on time. 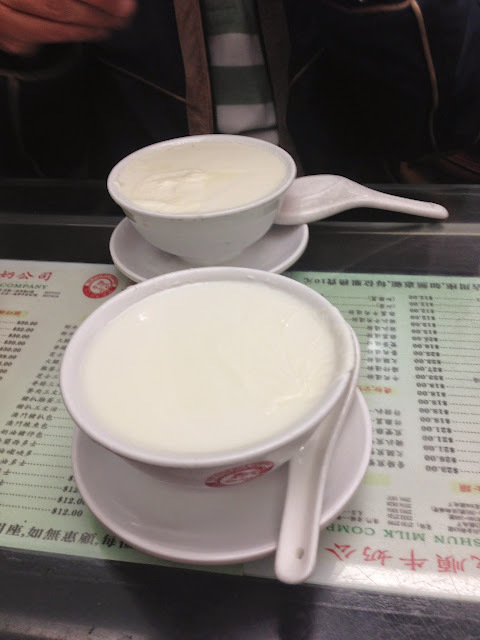 Between the two steamed milk puddings, we preferred the one at ADC. It was served hot, and the pudding itself was super smooth. The egg version is a tastier version of the original but it turned out to be too rich for me. 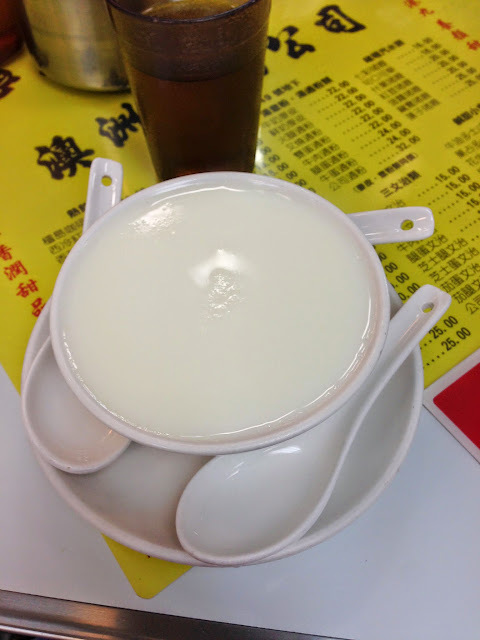 Our steamed milk pudding from Yee Shun was pretty good too but unfortunately, it was served barely lukewarm. I suppose the lower turnover means the milk puddings don’t fly off the shelves fast enough. One major downside of ADC is that you’ll probably wolf down whatever you get. 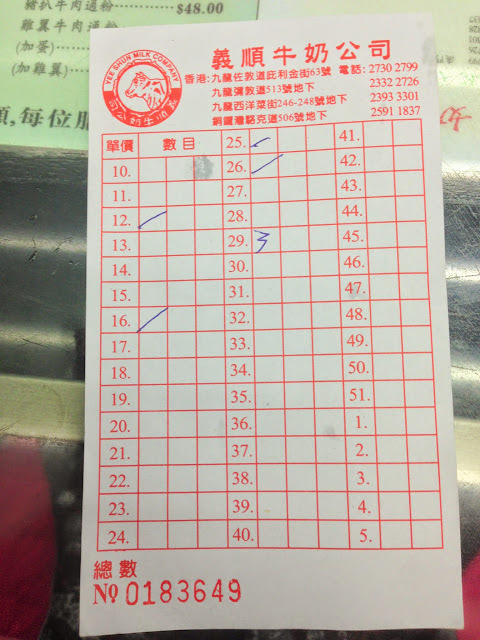 Everything happens very quickly in the shop so if you are planning to enjoy a leisurely breakfast, maybe you should head over to Yee Shun. 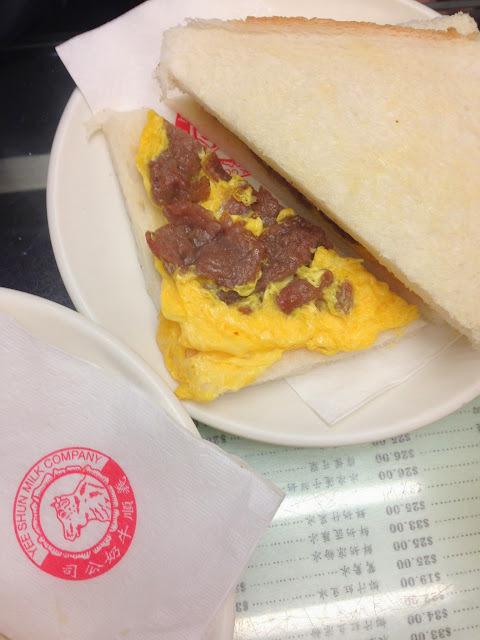 Also, while ADC does good scrambled eggs, we really liked our scrambled egg with beef sandwich from Yee Shun. The server who seemed pretty gruff at first recommended this when we asked her what was good. The fillings came smoking hot, and there was a good balance of flavour. She finally cracked a smile when we told her the sandwich was great!